Free 1 additional piece is applicable to the whole of Canada (max. weight 23kgs) valid on AI-AC Codeshare over London (LHR) and also over European online points and it includes all IND-LHR v.v flights. Free 1 additional piece to USA (max. weight 23kgs). 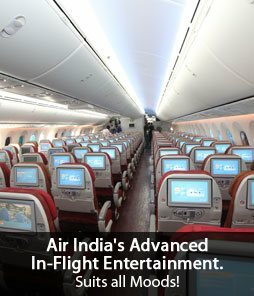 Not permitted on AI 191(Mumbai to Newark) and AI 105 (Mumbai to New York). Free 1 additional piece to USA (max. weight 23kgs) valid up to New York (JFK)/Chicago/ San Francisco and Washington and interior points via New York (JFK)/Chicago /San Francisco/ Washington only. Free 1 additional piece to UK (max. weight 23kgs) valid up to London/Birmingham and interior points in UK/Europe via London and Birmingham. Free 1 additional piece to Frankfurt/Paris/Rome/Milan/Copenhagen/Stockholm/Vienna/Madrid /Tel Aviv (max. weight 23kgs). Free 1 additional piece to Europe interior points via Frankfurt/Paris/Rome/Milan/Copenhagen/Stockholm/Vienna/Madrid. TELAVIV (max. weight 23kgs). Free additional baggage allowance (max. 20 kgs) to Singapore/Bangkok/Hong Kong/Shanghai/Seoul/Dhaka/Male/Kathmandu/Kabul/Colombo/Yangon. Free additional 20kgs Free Baggage Allowance for students traveling from Shanghai to India. This allowance is applicable for journeys originating from Shanghai and for return tickets purchased in China on student fares only. Free additional 20kgs Baggage Allowance for students traveling from Hongkong to India. This allowance is applicable for journeys originating from Hongkong and for return tickets purchased in Hongkong only. Free additional baggage allowance (max. 20 kgs) for students traveling from Australia to India. This allowance is applicable for journeys originating from Australia and for return tickets purchased in Australia only. Free additional 20kg free baggage allowance for students travelling from SAARC countries to India. Cumulative MAXIMUM Baggage Allowance (Free Baggage Allowance + Additional Baggage Allowance) For Weight Concept in Economy class - 40 Kgs ONLY. Ex-India and ex foreign stations: waiver of penalties due rejection of visa stands withdrawn for tickets issued. All applicable terms and conditions are as per fare rules filed in the system. GST is not applicable on Maharajah Scholars scheme. Passenger on enrolment to AI Frequent Flier Program FFP will be credited with 1000 mileage points at the completion of the first flight either operated by either AI or its Star Alliance partner. The credit of mileage points is subject to the passenger submitting the KYC information. The above is valid for all passengers including students applying for Maharajah Scholar Scheme. The ticket may be purchased worldwide. 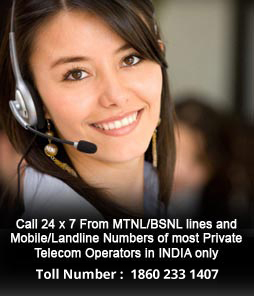 The offer applies only to traffic originating India (ticketing anywhere). Students purchasing a RT ticket originating India are entitled for the same facilities in the return direction from only the online points. The offer is valid only on paid tickets and not on redemption/award/AI/ID/FOC etc. The scheme is valid for the whole of Canada on AI-AC code share flight for one-way student travel and also on return fares. The scheme is extended up to the whole of Canada and is valid for sale on AI/AC code Share flights on all RBDs. Additional baggage allowance valid for outbound journey up to the destination and for return journey also it is valid for the inbound interline leg and Air India online points. Additional baggage allowance is valid for journey from online to interior points in UK/US/Europe/Australia provided it is in a single ticket. Subject to one interline on through published fares without stopover en route). 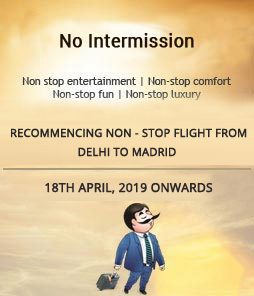 Additional baggage allowance also valid on Indian domestic leg of the international journey on AI operated flights even on a separate domestic ticket as long as the connection is within 24 hours. Two schemes cannot be combined. Student availing additional baggage allowance through Maharaja Scholar Offer cannot avail the additional baggage allowance for being an FFP member. This offer may be availed by genuine students any number of times during the offer period and is not restricted to first-time travel. The additional baggage allowance is applicable over and above the Free Baggage Allowance reflected on the ticket subject to a maximum of 40 Kgs. E.g. If the ticket displays 30 Kgs for any particular sector the additional baggage allowance will be 10 Kgs only, subject to a maximum of 40 Kgs. The offer is extended to students travailing Business Class as highlighted above provided all necessary conditions are fulfilled. Student can avail additional baggage allowances at the check in counter. Maharaja Scholar’s offer is Extended for students from Colombo. The offer is applicable to students originating their international journey from Colombo and travelling on a valid student/student exchange visa(F1/J1/I20/DS2019 etc.) via India. The ticket may be purchased worldwide. Students purchasing a Return ticket originating Colombo are entitled for the same facilities in the return direction. The offer is valid only on paid tickets and not on redemption / award/AD/ID/FOC etc. Free Additional Baggage Allowances (Piece Concept) for CMB - DEL - JFK / IAD / SFO / ORD/ EWR. Free 1 additional piece to USA (max. weight 23kgs) valid up to NewYork(JFK)/Chicago/ San Francisco and Washington and interior points via New York(JFK)/Chicago /San Fransisco/ Washington only(max. weight 23kgs). Free 1 additional piece to USA (max. weight 23kgs) valid up to Newark (EWR) on flights AI171/172 only and interior points via Newark connecting flights AI171/172 only. Not permitted on AI105/AI191 due to pay load problem. Free 1 additional piece to UK (max. weight 23kgs) valid up to London/Birmingham and interior points in UK/Europe via London only(max. weight 23kgs). Free 1 additional piece to Europe (max. weight 23kgs).valid upto Frankfurt/Paris/Rome/Milan/Vienna/Madrid/Copenhagen/Stockholm/Tel Aviv. 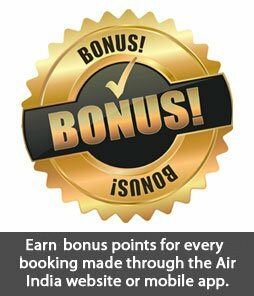 Free 1 additional piece to Europe interior points via Frankfurt/Paris/Rome/Milan/Vienna/Madrid/Copenhagen/Stockholm/Tel Aviv(max. weight 23kgs). Free Additional Baggage Allowance (Weight Concept):CMB – DEL - SYD/MEL. Free additional baggage allowance to AUS (max. 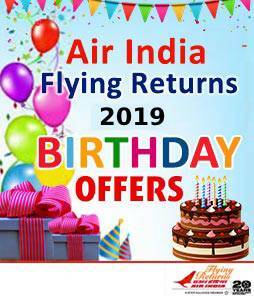 10 kgs) valid from CMB-DEL-SYD /MEL. 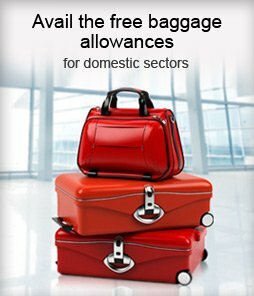 Free additional baggage allowance to AUS interior points (max. 10 kgs ) via SYD /MEL. 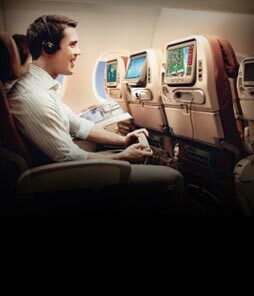 Passenger on enrollment to AI Frequent Flier Program FFP will be credited with 1000 mileage points at the completion of the first flight either operated by either AI or its Star Alliance partner.The credit of mileage points is subject to the passenger submitting the KYC information.The above is valid for all passengers including students applying for Maharajah Scholar Scheme. Penalty Waivers : No Waiver of cancellation charges in case of visa rejection Ex Colombo. All applicable terms and conditions are as per fare rules filed in the system. Applicable Sectors : The scheme is applicable on all international sectors. The scheme is available in RBD S and above. Additional baggage allowance valid for outbound journey up to the destination and for return journey it is valid only on AI operated flights. The additional baggage allowance is applicable over and above the Free Baggage Allowance reflected on the ticket subject to a maximum of 40 Kgs. Eg: If the ticket displays 30 Kgs for any particular sector the additional baggage allowance will be 10Kgs only, subject to a maximum of 40 Kgs. Two schemes cannot be combined. Student availing additional baggage allowance through Maharaja Scholar Offer cannot avail the additional baggage allowance for being a FFP member. The offer is extended to students travelling Business Class as highlighted provided all necessary conditions are fulfilled. EBT to be issued for students traveling to USA interior points via NYC/ORD,SFO/IAD/EWR and to UK , Europe and AUSTRALIA interior points via LON/BHX/FRA/PAR/FCO/MXP/VIE/MAD/CPH/ARN/TLV/SYD/MEL. Students have to pay only applicable taxes. Air India offers additional 20kgs Free Baggage Allowance for students travelling from Shanghai to India. Total checked in Baggage allowed for students will be 40kgs on Shanghai - India – Shanghai sector.This allowance will also be applicable on the return leg of the journey. This allowance is applicable for journeys originating in Shanghai and for tickets purchased in China on student fares only. The offer is valid for student of minimum 18 years or older with ID travelling on a student visa. Air India offers additional 20kgs Free Baggage Allowance for students travelling between Hong Kong and India. Total checked in Baggage allowed will be 40kgs between Hong Kong - India - Hong Kong. The allowance is applicable on Hong Kong - India - Hong Kong sector for journeys originating in Hong Kong and for tickets purchased in Hong Kong only. The offer is valid for student minimum 18 years or older with ID travelling on a student visa. Piece Concept: 01 Pc / 23 Kg free over and above the FBA entitlement for Business class. Weight Concept: Free 10 kgs Additional excess weight over and above the FBA entitlement for Business class. The offer is available to students originating their international journey from Sydney/Melbourne and travelling on a valid student/student exchange visa. Students purchasing a RT ticket originating Sydney/Melbourne are entitled for the same facilities in the return direction from only the online points. The offer is valid only on paid tickets and not on redemption/award/AD/ID/FOC etc. Additional baggage allowance valid for outbound journey up to the destination and for return journey it is valid only on AI online points. Additional baggage allowance also valid on Indian domestic leg of the international journey on AI operated flights provided it is in a single ticket.